Page 2. 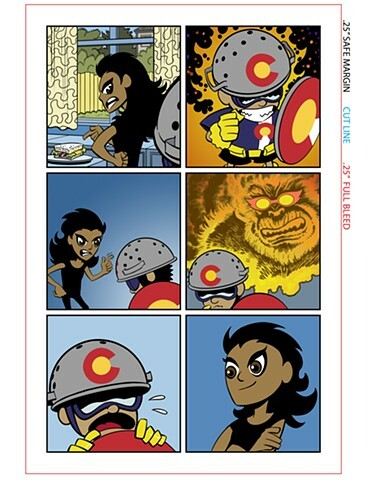 Captain Colorado is a boy who imagines himself (and those he meets) as characters in a superhero world. I was asked to draw his actual self as shown and his imaginary self as seen on page 1. At the time he had no name or ethnicity so I made him Hindustani-American. By episode 2 he'd become a blonde white boy named Tyson as per the wish of the (black) writer.